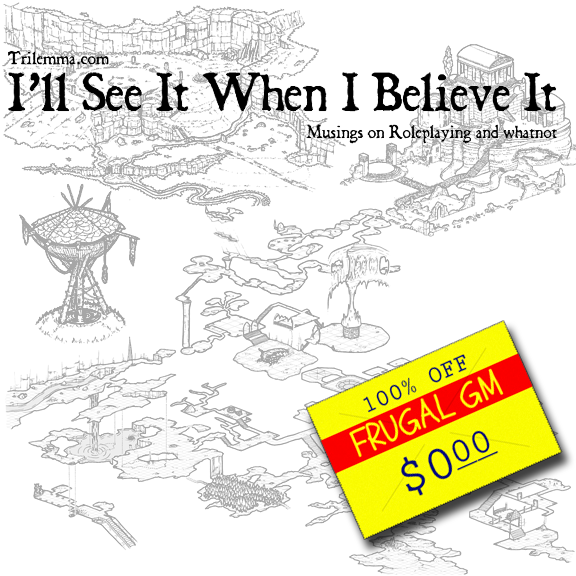 This week's Free GM Resource, in keeping with my recent impromptu theme of free adventures is, duh, more free adventures. I'll See It When I Believe It is another Blogger blog by Michael Prescott and Michael has some pretty good stuff. He puts out a monthly adventure and has a Patreon site (evidently I am so late to that party!). The adventures are posted to his blog and I'm happy to say that there is even some easy front-page navigation to find them. 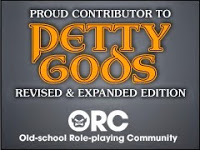 Exceedingly cool is the fact that the art is usually available in addition to the adventure and that pretty much everything is released under a CC-BY-NC license.